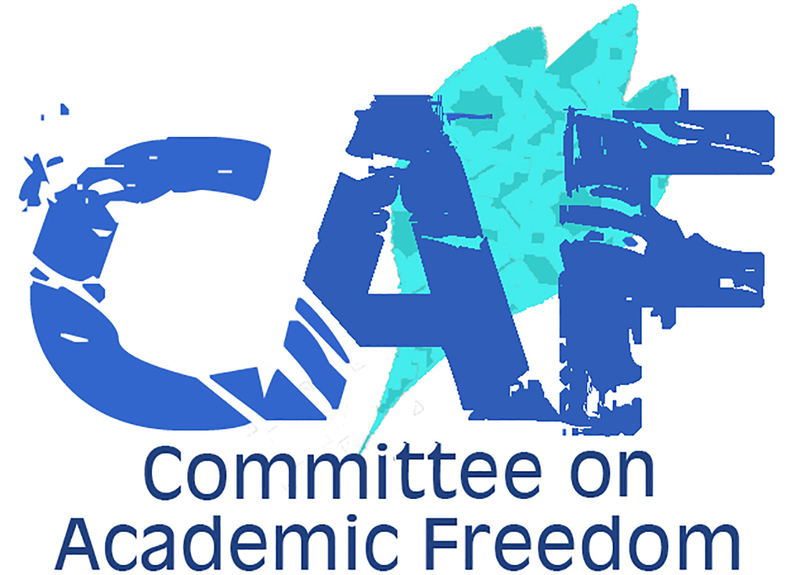 We write to you on behalf of the Committee on Academic Freedom of the Middle East Studies Association of North America (MESA) to express our deep concern about the arrest of Ahmed Mansoor, an international award-winning human rights activist in the United Arab Emirates. Ahmed Mansoor was detained by twelve members of state security at his home in Ajman on March 19, 2017, and taken to an undisclosed location while his computer and cell phones were confiscated without warrant. Mr. Mansoor was the 2015 recipient of the prestigious Martin Ennals Award for Human Rights Defenders; he is one of the few remaining activists in the UAE who has raised publicly the issue of persistent human rights violations in your country. Mr. Mansoor’s arrest and disappearance are consistent with an ongoing campaign to silence dissenting voices and suppress all forms of political opposition in the UAE. Ahmed Mansoor has long spoken in favor of human rights and freedom of speech in the UAE. He founded the www.uaehewar.net website in August 2009 as a platform for the discussion of politics, development, and society in the Emirates. Mr. Mansoor also was one of the 133 signatories of a petition for moderate political reforms that was presented to H.E. President Sheikh Khalifa bin Zayed Al Nahyan in March 2011. Mr. Mansoor subsequently was targeted in an online smear campaign on social media and was one of the “UAE 5” arrested in April 2011 on charges of “perpetrating acts that pose a threat to state security, undermining the public order, opposing the government system, and insulting the President.” In November 2011, the “UAE 5” were convicted of insulting the rulers of the UAE following a trial criticized by international human rights organizations. Although Mr. Mansoor and the other members of the “UAE 5” were pardoned by President Sheikh Khalifa the day after their conviction, their convictions remained on file and meant they could not secure the Certificate of Good Conduct needed to work in the UAE or travel internationally. Mr. Mansoor lost his job as an engineer in a telecommunications firm and was unable to travel to Geneva in 2015 to accept in person the Martin Ennals Award for Human Rights Defenders. Ahmed Mansoor has been held incommunicado since his detention. Others in his position have been held without access to legal representation or any public disclosure of their whereabouts for months before they have been brought to trial. Under international law, a state violates the prohibition against enforced disappearance when it takes a person into custody and then either denies it is detaining the person, or fails to disclose the person’s whereabouts. “Disappeared” people are also at high risk of torture, and many prisoners have made allegations about the lack of due process and their mistreatment while in secret custody pending trial. An October 2013 investigation by Reprieve into reports of torture at Dubai Central Jail suggested that more than 75 percent of prisoners had been physically abused at some point after their arrest while 96 percent had been subjected to questioning without ever having seen a lawyer and 95 percent were interviewed by prosecutors without a lawyer present. We urge the UAE authorities to respect internationally recognized standards of free speech and due process, and to release Mr. Mansour and other prisoners of conscience whose only “crime” has been to express their opinions in a non-violent manner. Such actions on the part of the state violate the commitment to opening minds and fostering intellectual creativity that the UAE professes in its global branding efforts and its partnerships with leading international universities. We look forward to your timely response to this urgent matter.